Description Check out this 2015 Buick Enclave Leather. Its Automatic transmission and Gas V6 3.6L/217 engine will keep you going. 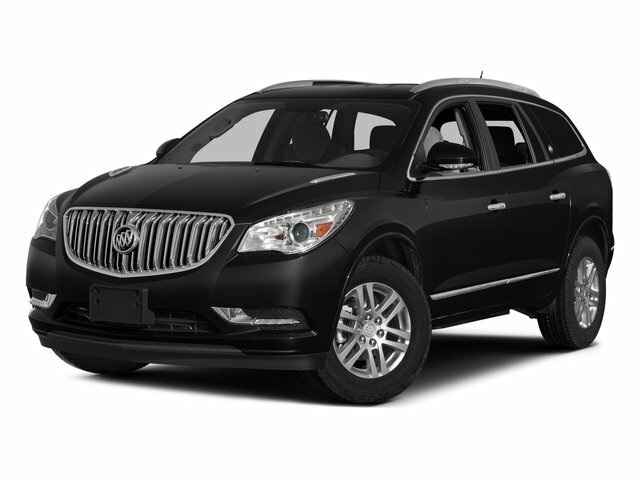 This Buick Enclave has the following options: WHEELS, 4 - 19" X 7.5" (48.3 CM X 19.1 CM) ALUMINUM (STD), TRANSMISSION, 6- SPEED AUTOMATIC, ELECTRONICALLY CONTROLLED WITH OVERDRIVE (STD), TIRES, P255/60R19-108S ALL-SEASON, BLACKWALL, MICHELIN (STD), SEATING, 7-PASSENGER, FRONT BUCKET second-row captain's chairs, flat folding and SmartSlide access to third row, third row flat folding 60/40 split bench (STD), LICENSE PLATE BRACKET, FRONT MOUNTING PACKAGE, ENGINE, 3.6L VARIABLE VALVE TIMING V6 WITH SIDI (SPARK IGNITION DIRECT INJECTION), DOHC (288 hp [214.7 kW] @ 6300 rpm, 270 lb-ft of torque [364.5 N-m] @ 3400 rpm) (STD), CRIMSON RED TINTCOAT, CHOCCACHINO, PERFORATED LEATHER SEATING SURFACE with Cocoa interior accents, AUDIO SYSTEM, COLOR TOUCH RADIO WITH INTELLILINK, AM/FM/SIRIUSXM RADIO WITH CD PLAYER 6.5" diagonal touch-screen display, USB port and auxiliary input jack (STD), and 1SL PREFERRED EQUIPMENT GROUP Includes Standard Equipment. Test drive this vehicle at Prince Toyota, 2013 U.S. Highway 82 West, Tifton, GA 31793.